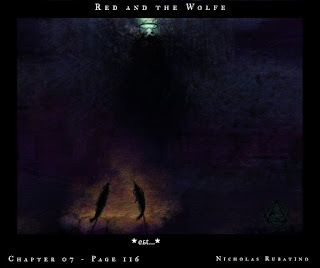 Most of Chapter 09 is spoilery so I've been avoiding posting much of it, but I've just crossed the half way point! 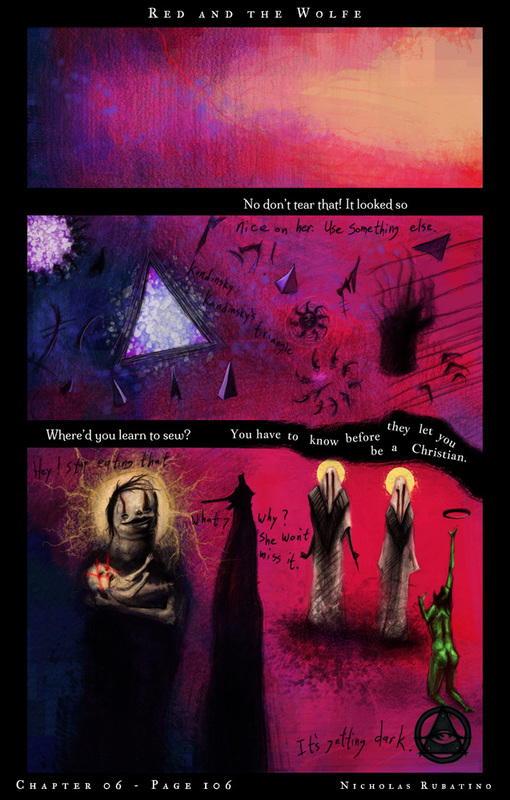 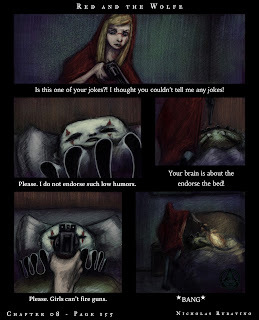 Also Chater 06: The Bone Tide just came out on comixology! 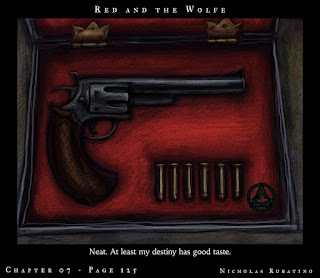 click the Red and the Wolfe button above to get it! 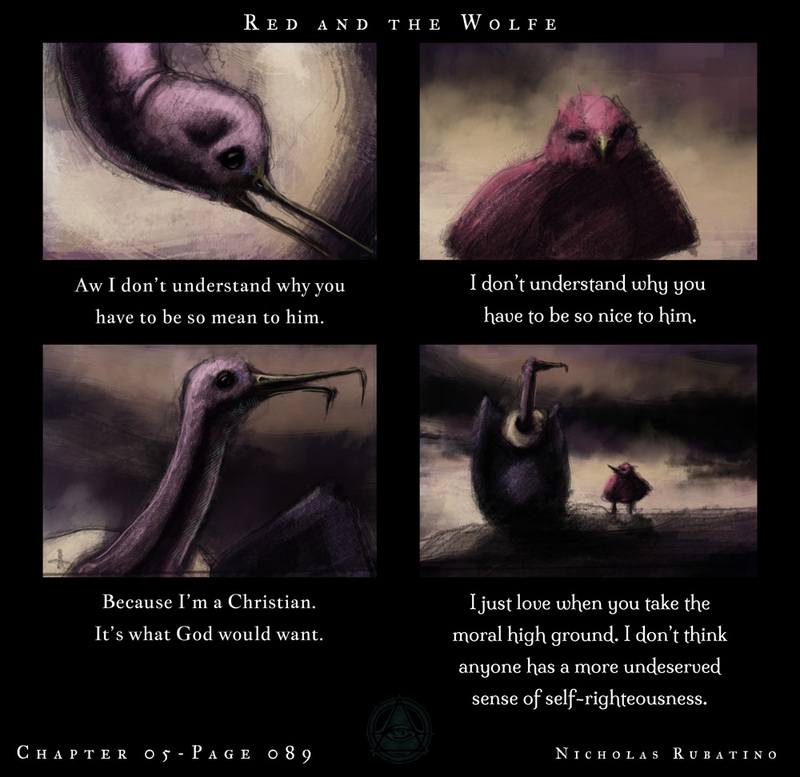 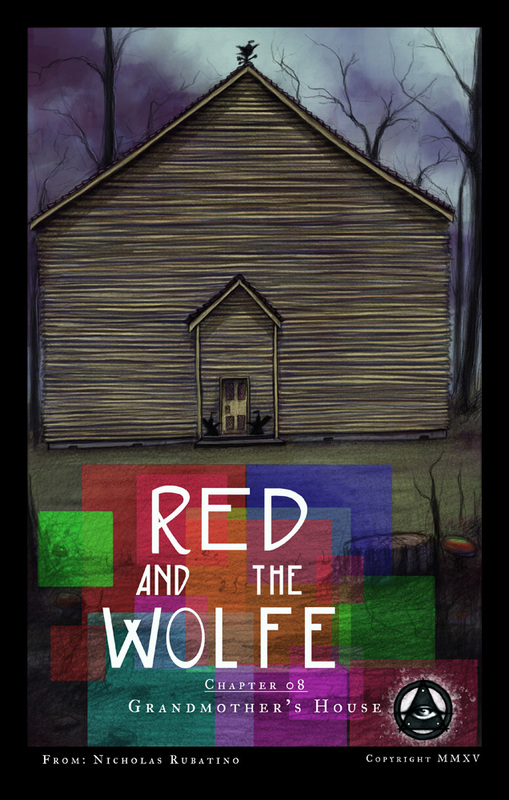 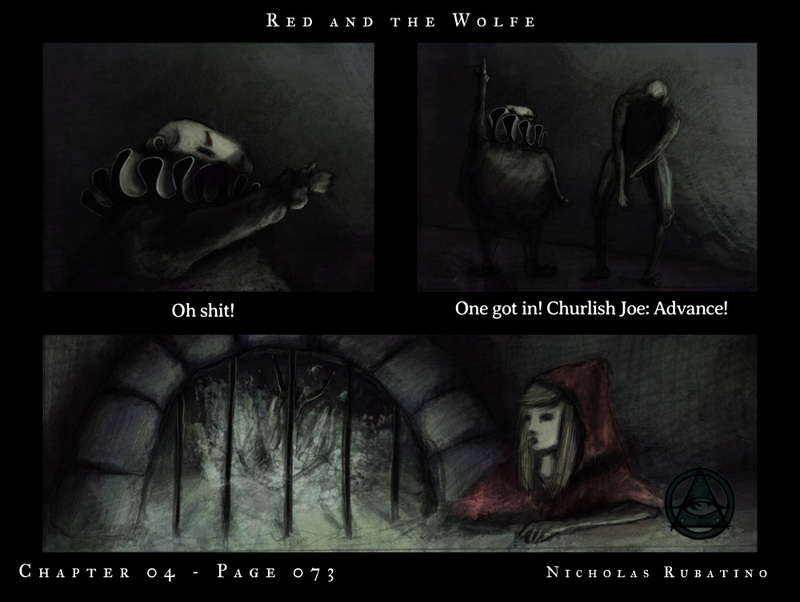 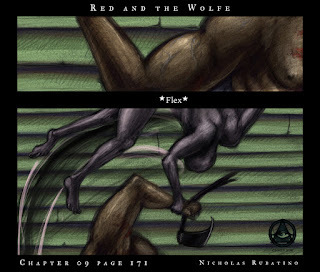 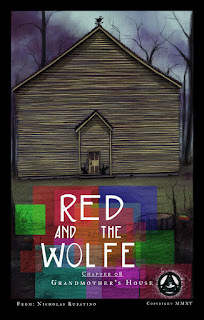 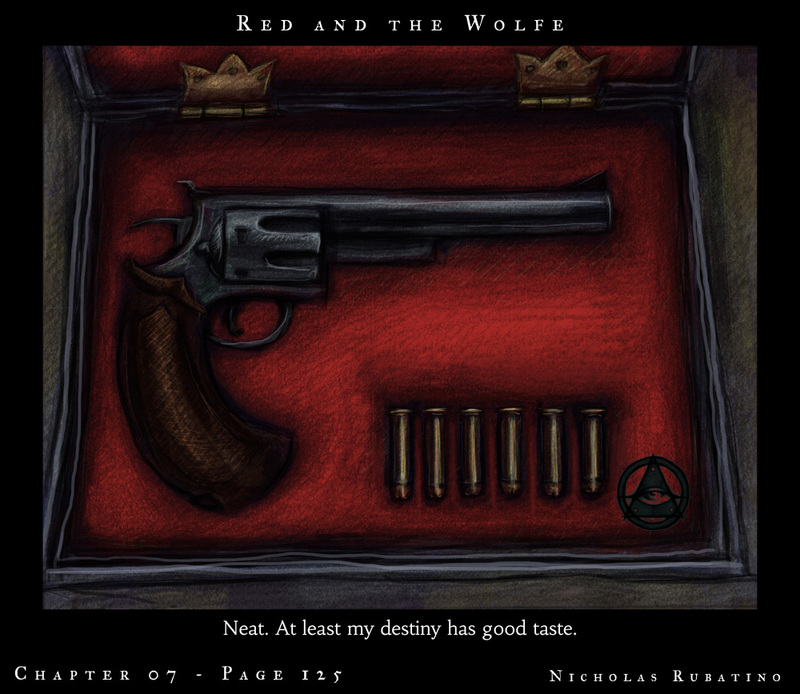 Red and the Wolfe Chapter 6 will be released December 23rd! 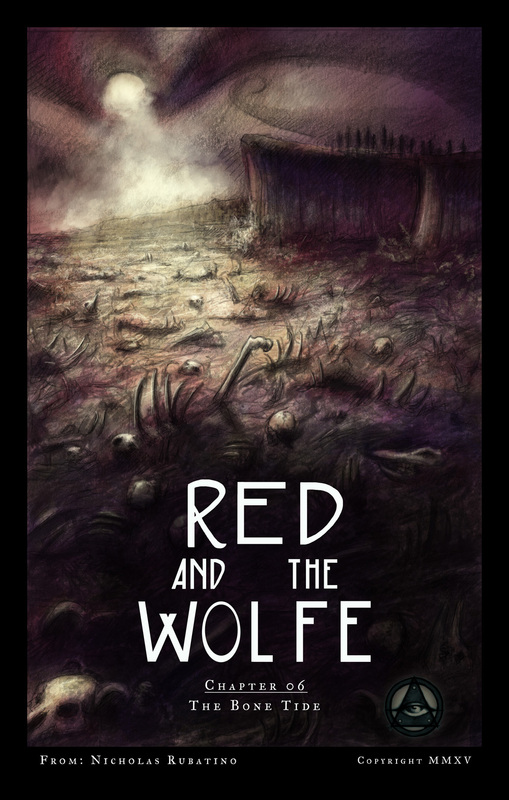 Just got work from ComiXology that The Bone Tide is ready and will be released December 23rd 2015! 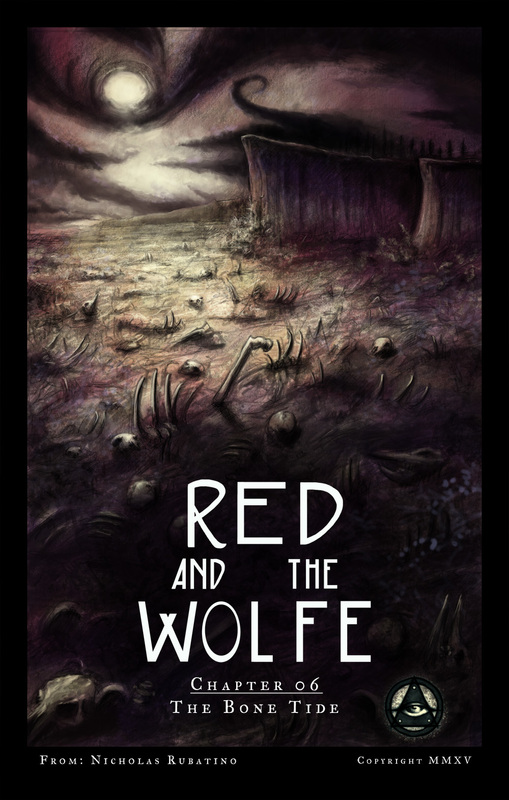 Added a new copyright thing to my logo; I read up on copyright law, and it isn't required, copyright is automatically granted as soon as the work is published. 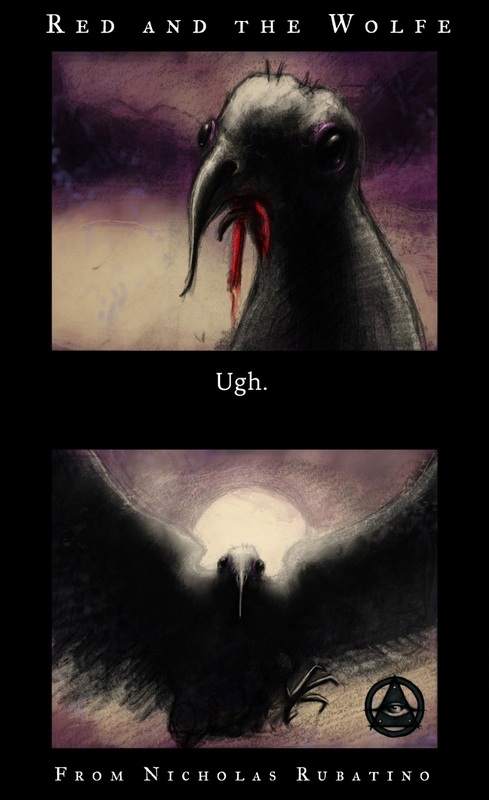 But, I like the roman numerals. 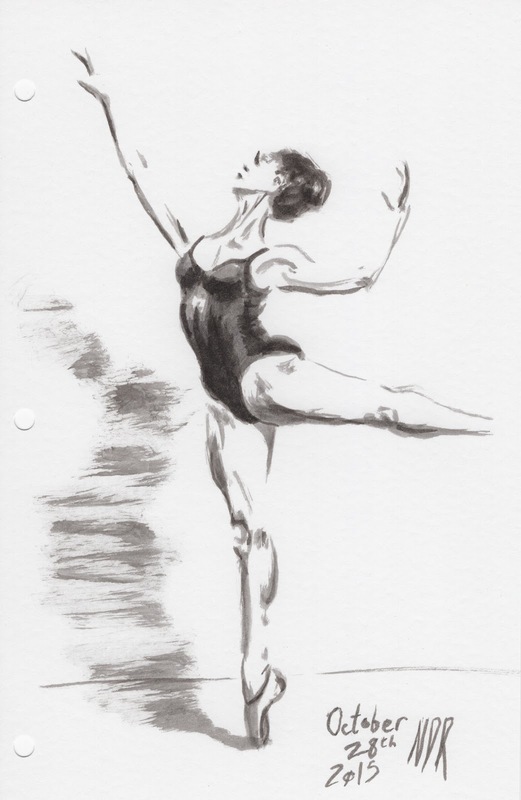 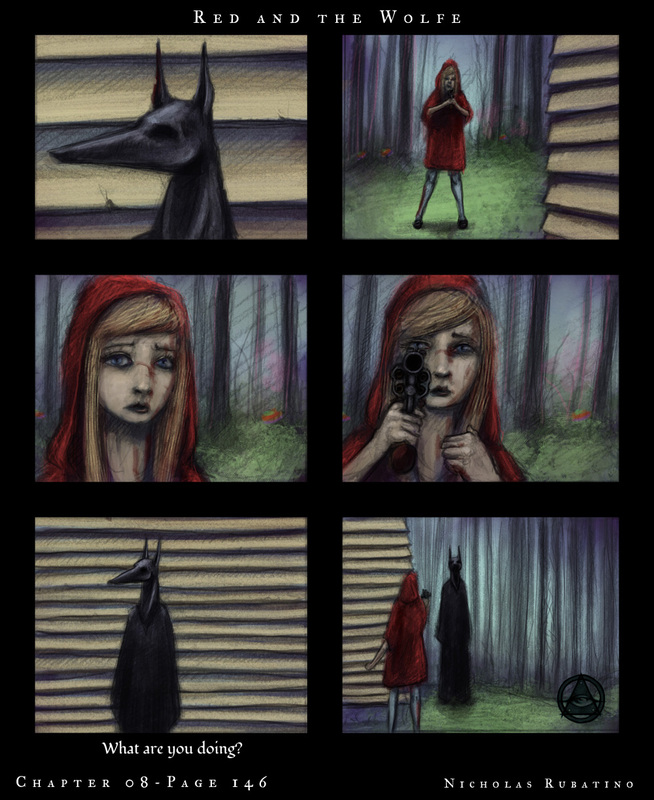 Also I created that © by hand! 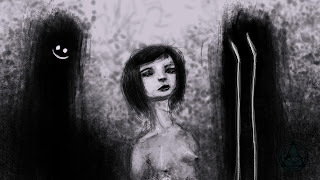 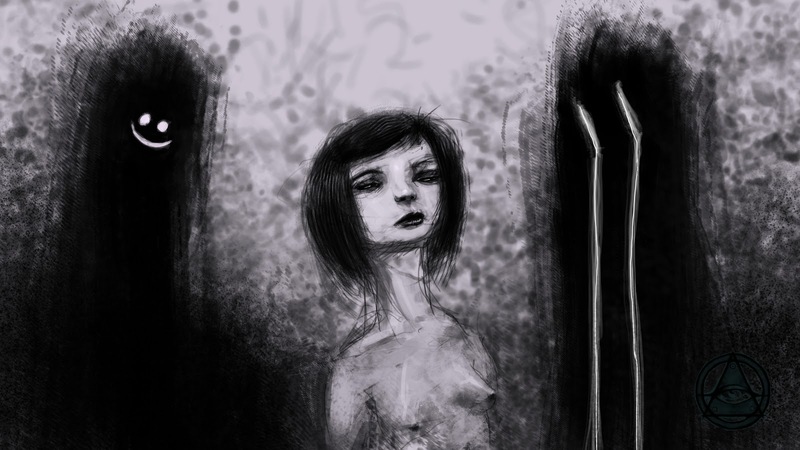 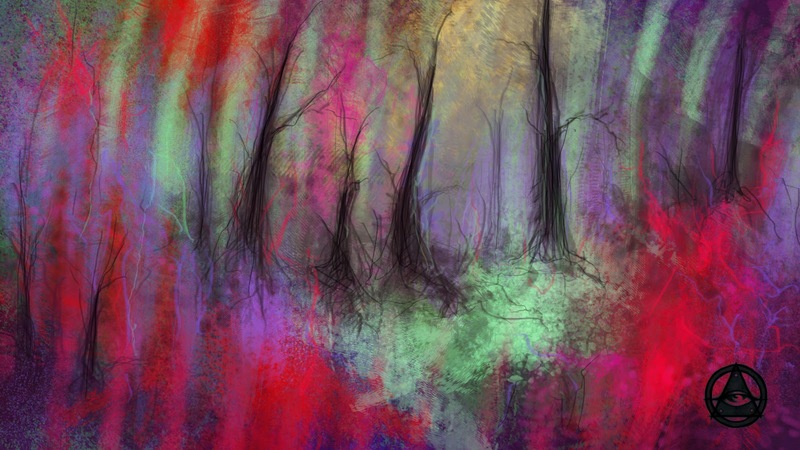 "A Woman Experiencing the Ecstasy of the Summoned Shade" and "A Forest in Rainbows"
The bottom one is my first concept painting for my story "David Versus Bathsheba"
Just messing around today, taking a break after finishing chapter 08. 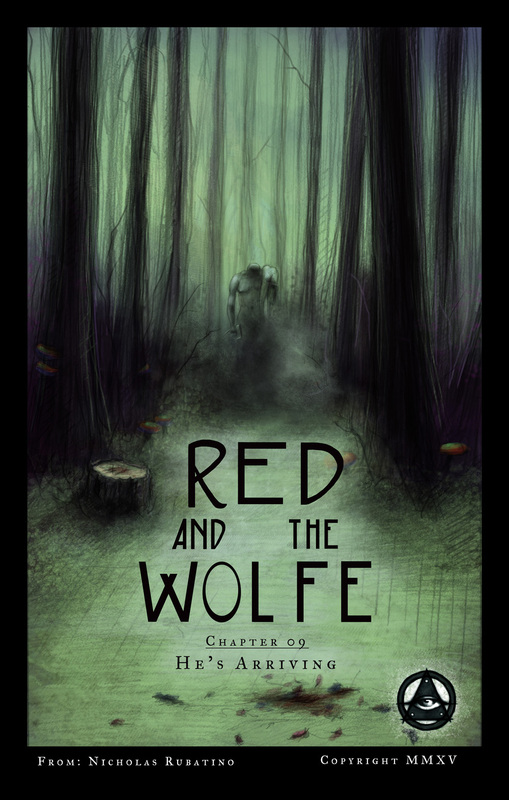 Red and the Wolfe Chapter 09 Cover! 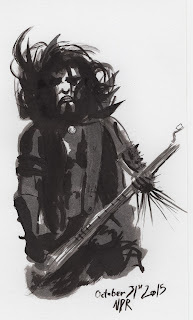 The redoubtable bassist from Black Metal Supergroup: Watain! 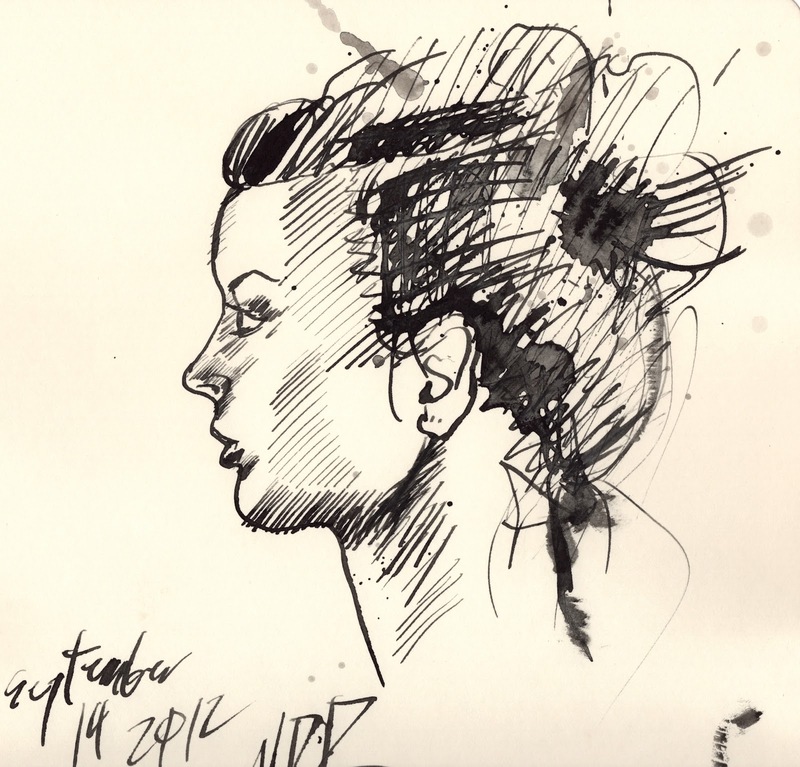 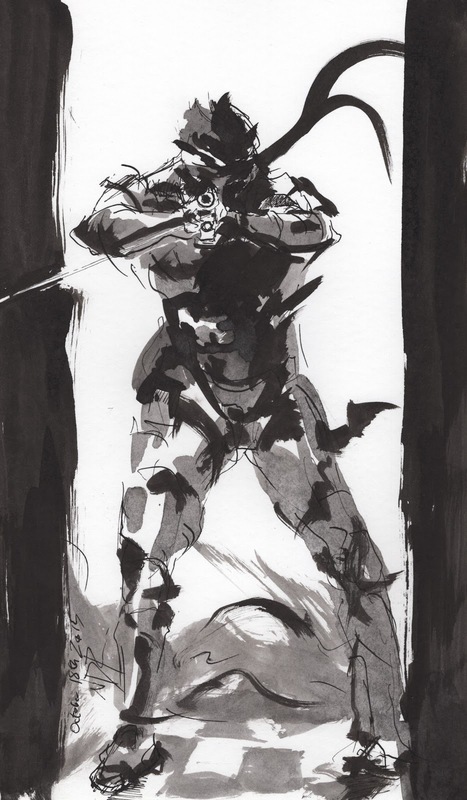 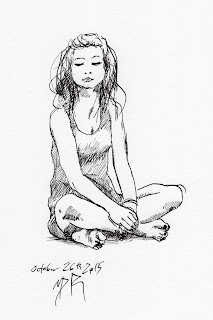 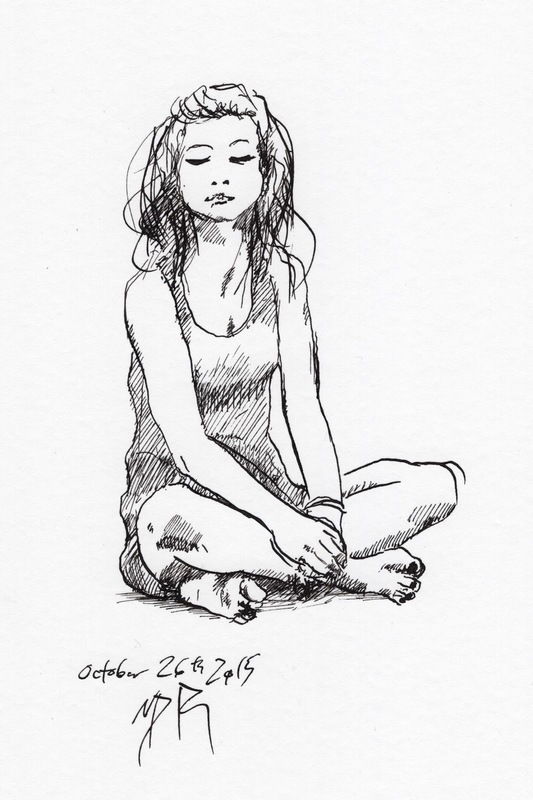 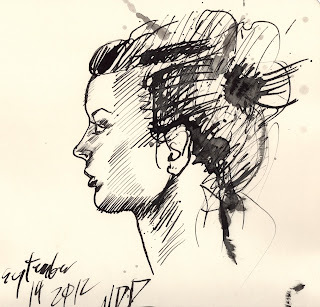 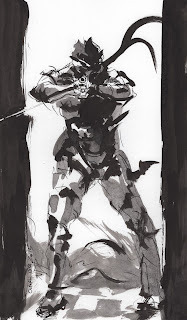 I've been participating in Inktober, but neglecting to upload here, so I'll start with day 18 and maybe work backwards at some point! 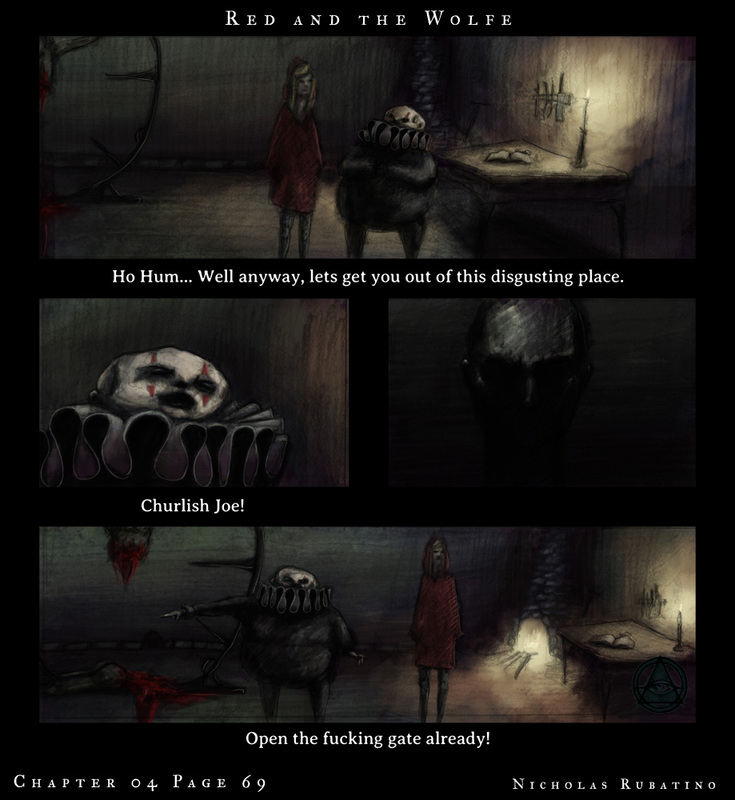 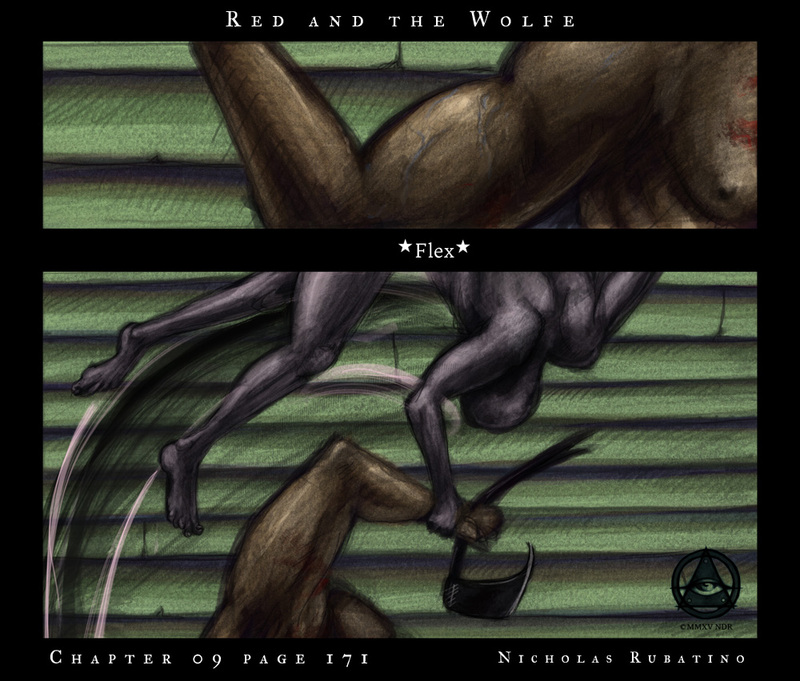 Red and the Wolfe chapter 08 page 155 preview! 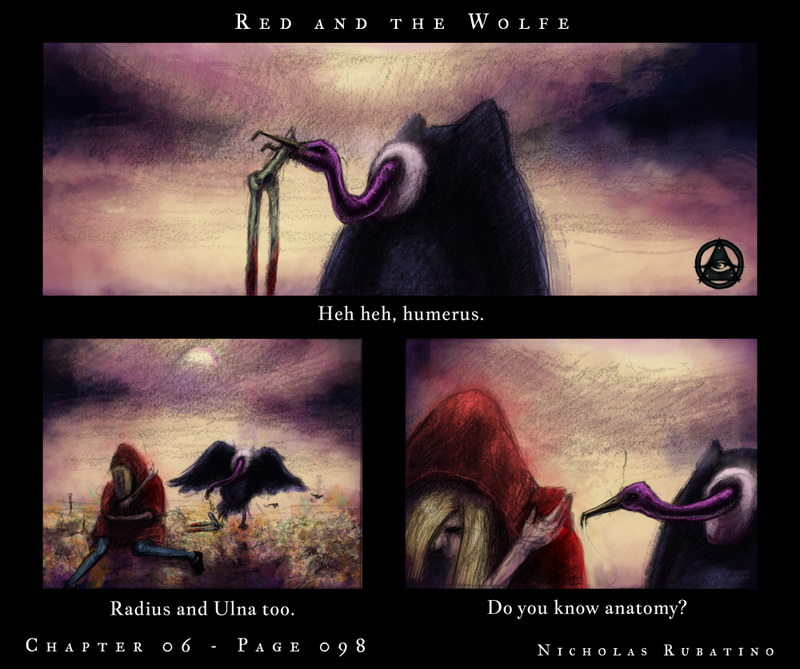 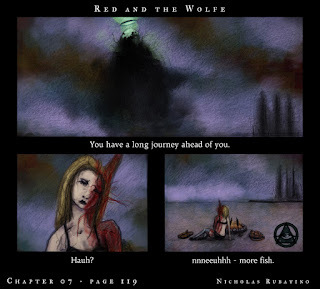 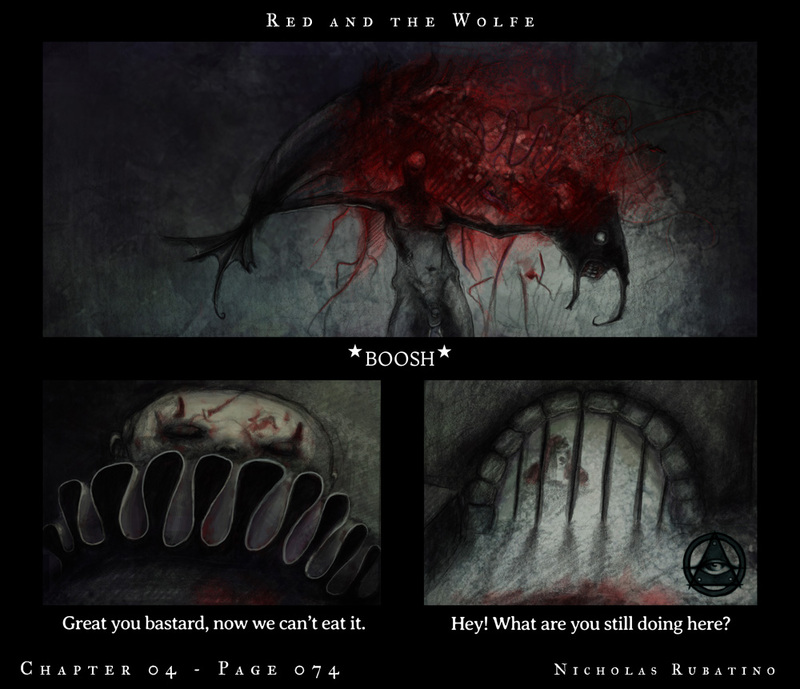 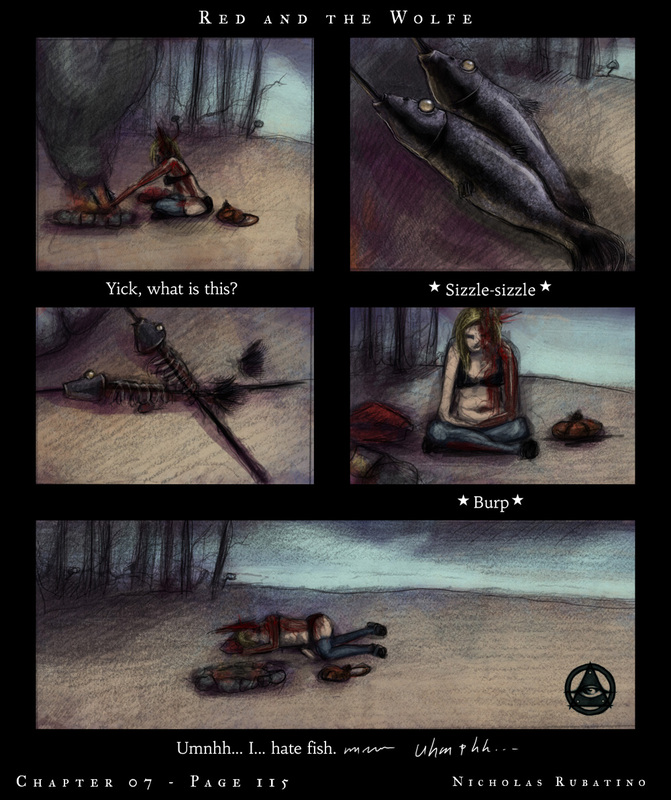 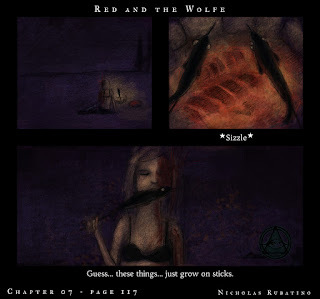 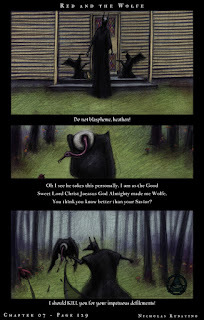 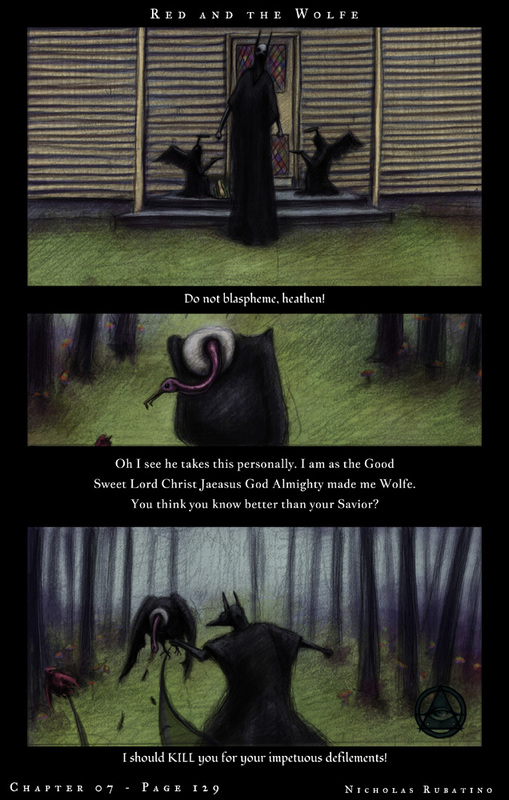 Red and the Wolfe Chapter 05: The Black Lands is released on Comixology! 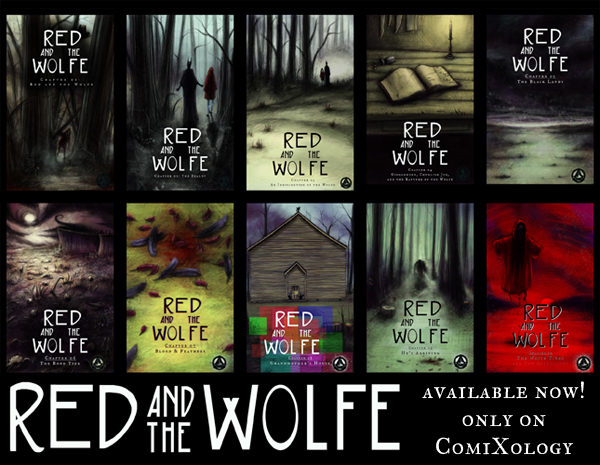 Also I was informed that Red and the Wolfe will be talked about on a comixology podcast, with a special promo code given at the end to get the first issue free! 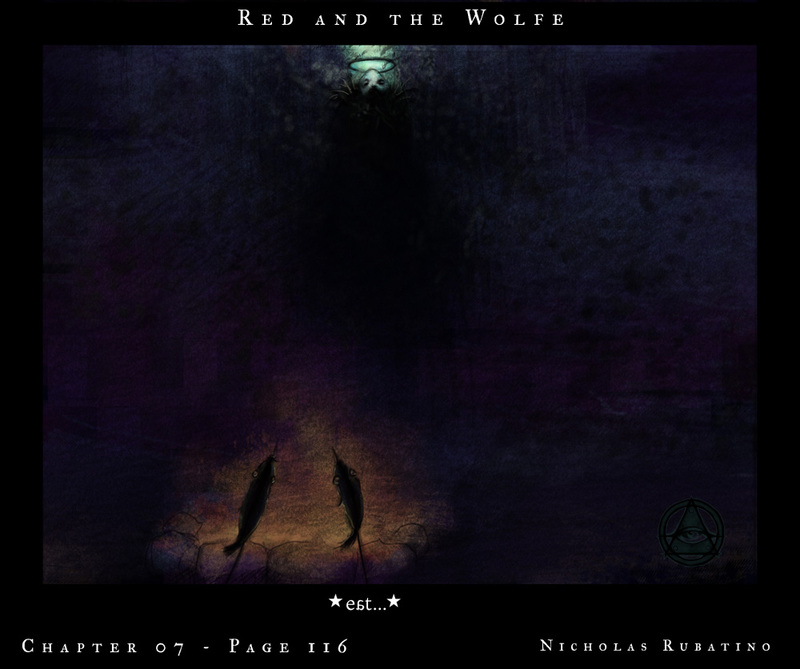 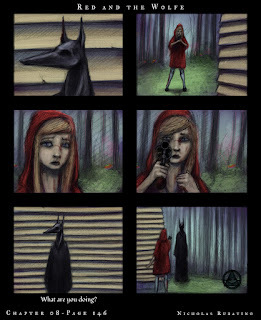 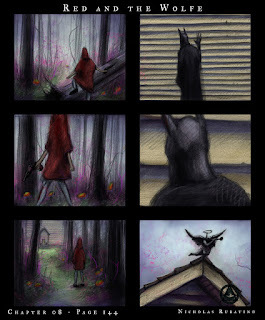 Red and the Wolfe, Last Page of Chapter 06! 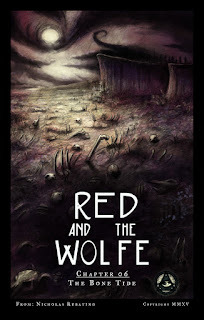 And this is what the Wolfe looks like in red. 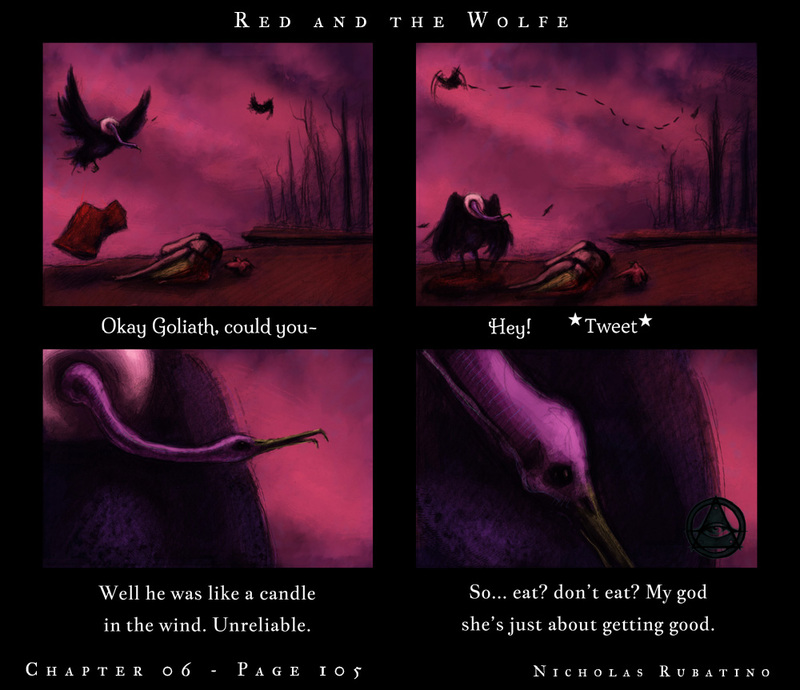 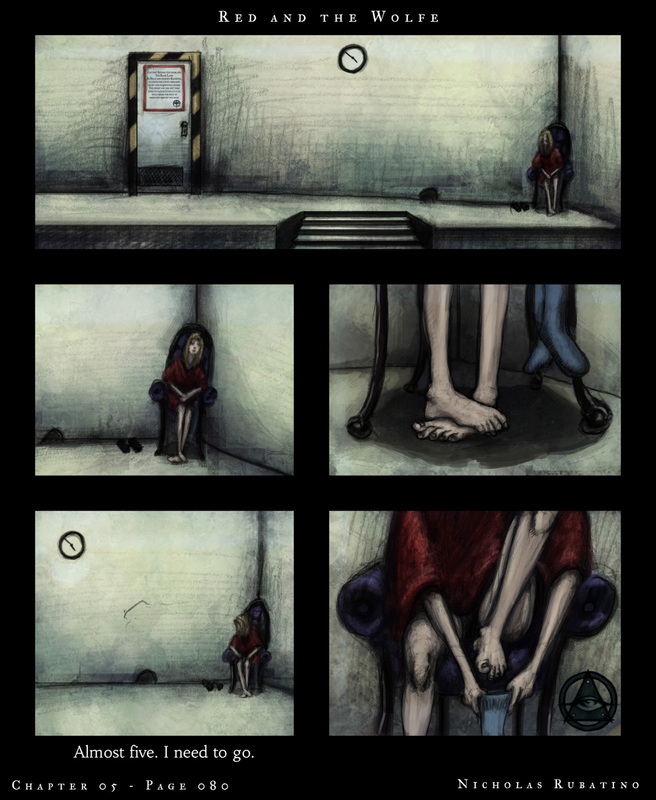 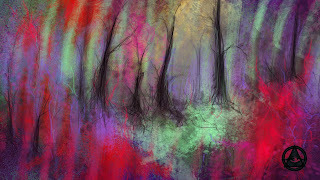 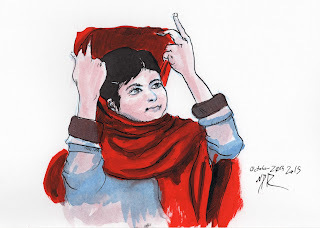 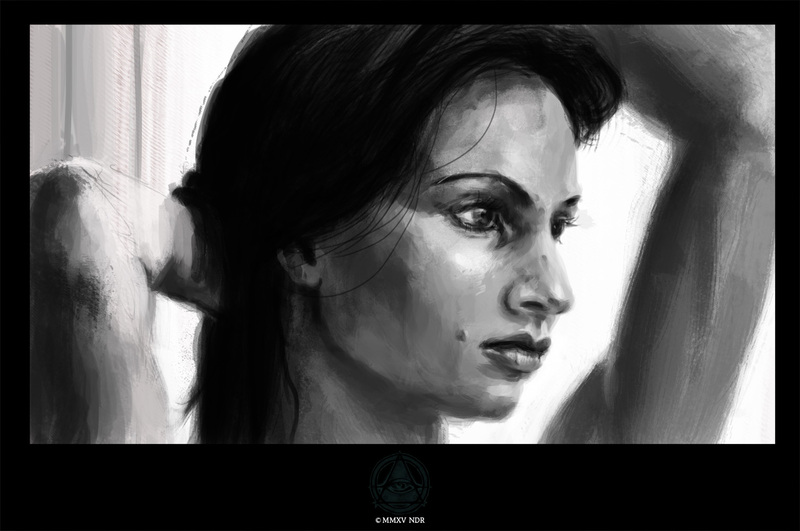 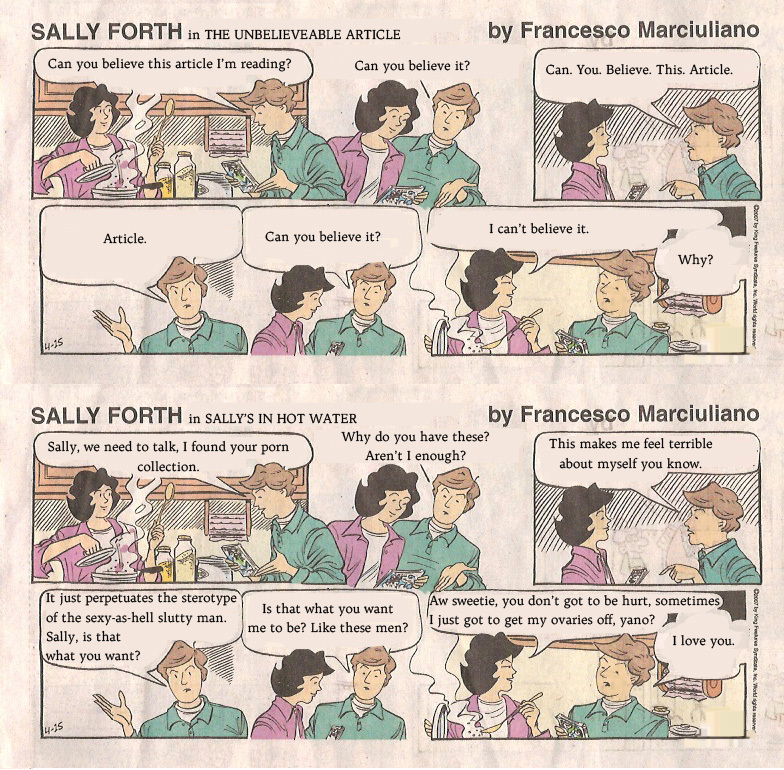 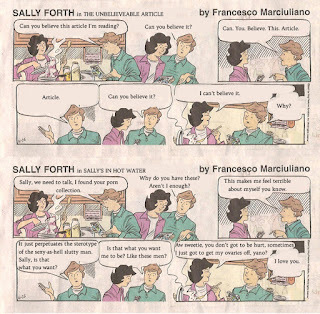 The colour, not the person Red, also featured in this graphic novel. 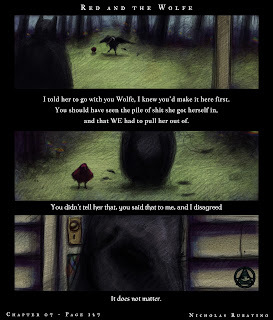 That would be crass. 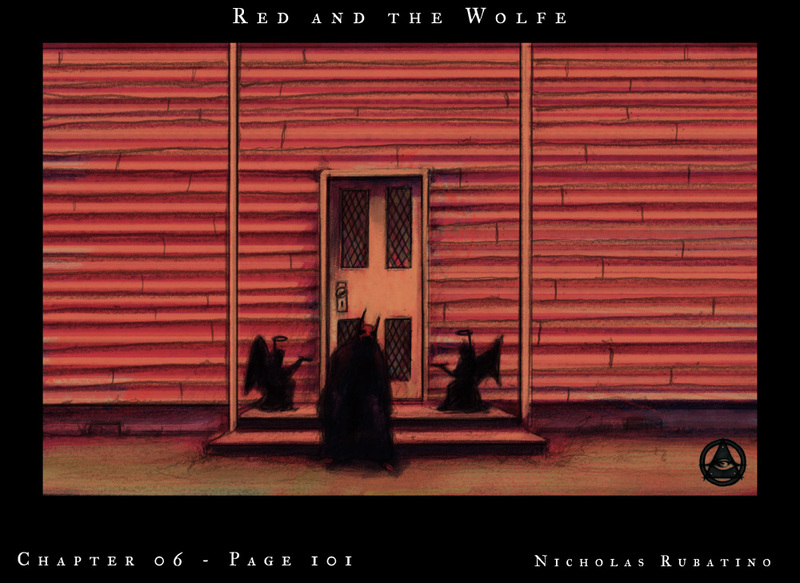 Chapter 04 has been accepted by comixology! 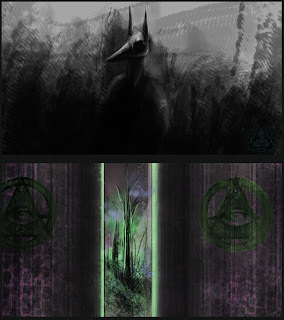 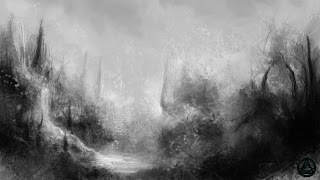 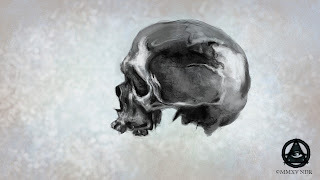 In the middle of working on Chapter 06: The Bone Tide. 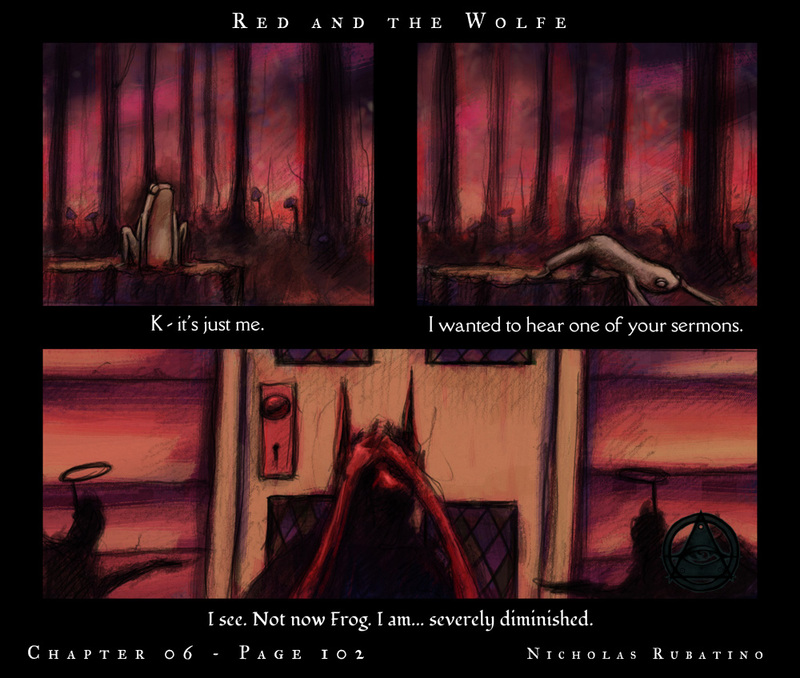 Chapter 04 is submitted and under review at comixology, and Chapter 05 is done and awaiting a final edit! The Zealot in a video game! My friend Jon (http://sneslink.blogspot.com/) proposed adding my Zealot character to the game he is working on as an easter egg. 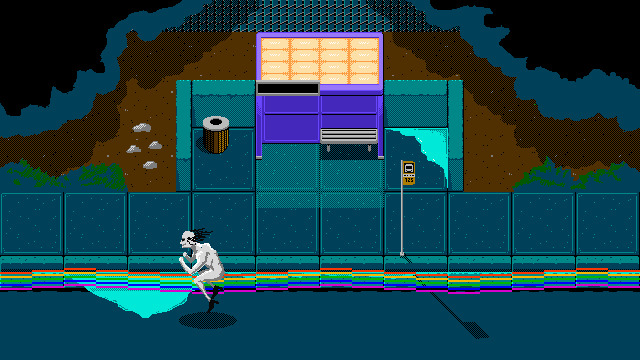 He is looking handsome as a pixel I must say. 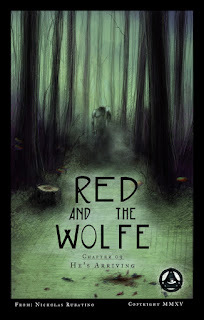 Red and the Wolfe Chapter 3 is Released! Work continues on chapter 04 after a winter break.